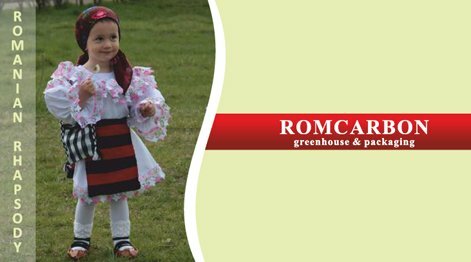 This policy covers the cookies and websites operated by ROMCARBON S.A., with the registered office in Buzau, Str. Transilvaniei nr. 132, Romania, hereinafter referred to as the Controller. Cookies are small files, formed of letters and figures, which will be stored on the computer, mobile device or other equipment of an user the Internet is accessed from. The cookie is installed further to a request sent by a web server to a browser (for instance, Internet Explorer, Chrome) and is completely “passive” (meaning it contains no software, viruses or spyware, nor can it access the information on the user’s hard drive). These files allow recognition of the user’s terminal in order to present them relevant content, adapted to their preferences. Cookies offer users a pleasant browsing experience, and support the efforts of the Controller to provide convenient services to users: for instance: – online privacy preferences, shopping basket or relevant advertising. They are also used to generate aggregate anonymized statistics which help us understand how an user benefits of our websites, allowing use to improve their structure and content, but without personally identifying the user. We use two types of Cookies: session and fixed. The session Cookies are temporary files which remain on the user’s terminal until the end of the session of closing of the application (the web browser). The fixed Cookies remain on the user’s terminal for the time defined in the Cookie settings, or until these are manually erased by the user. What are Cookies used by this website? Cookies per se do not require personal information to be used and, most often, neither personally identify the Internet users. Personal data may only collected using Cookies to facilitate certain functionalities for the user. Such data is thus encrypted so access of unauthorized persons thereto is rendered impossible. In general, an application used to access websites allows that Cookies are saved on the terminal by default. These settings can be changes to that automated Cookie management is blocked by the web browser, or the user is informed every time when Cookies are sent to their terminals. Detailed information about the possibilities and means of managing Cookies is available in the setting areas of the application (web browser). Limited used of Cookies can impair certain functionalities of the website. Cookies are critical for an efficient operation of the Internet, helping generate an user-friendly browsing experience which is adapted to the preferences and interests of each user. Denying or disabling Cookies can render impossible the use of some websites. However, denying or disabling Cookies does not necessarily means that you will no longer receive any online advertising, but only that this will no longer factor in your preferences and interests, as determined from your browsing behavior. Content and services adapted to the user’s preferences – categories of products and services. Offers adapted to the interests of users – password remembering. Remembering of the child protection filters as regards the Internet content (family mode option, safe search functions). Limitation of the commercial display frequency – limitation of the number of times a commercial is displayed for a certain user on a website. Displaying of advertising which is more relevant for the user. Measurement, optimization and analytics features, such as confirmation of a certain traffic on a website, what type of content is viewed and how an user comes to a website (eg. by search engines, directly, from other websites, etc.). Websites run these use analyses to improve the websites for the benefit of the users.